Click the button below to add the Copper Bathtub '9910' to your wish list. Thinking about upgrading a bathroom and adding some luxury to a daily live? A free standing copper bathtub is the best decor solution. Hammered tub '9910' has been made out of recycled copper and is available with patina of choice. Select coffee, natural, honey or antique. Color swatches are shown on the tub detail page. It can be further improved by adding over flow system and relocating bottom drain from default to a custom location. 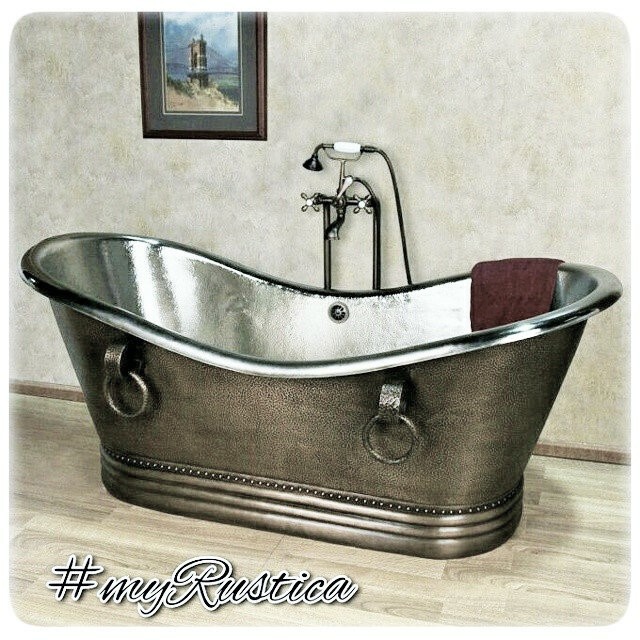 The free standing copper bathtub is handcrafted and shipped from Mexico.